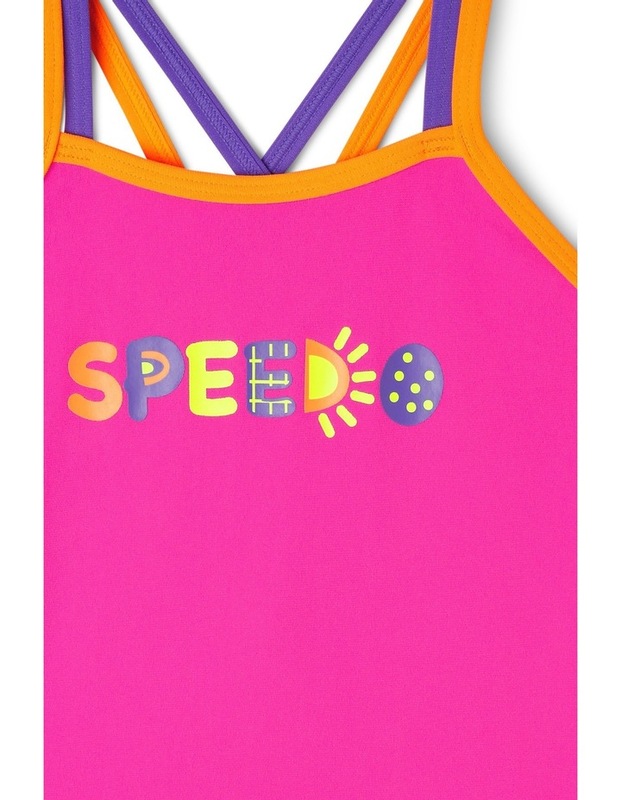 This popular swimsuit is great for swimming lessons and just having fun. Made from Endurance , an exclusive Speedo fabric designed to last longer, it is 100% chlorine-resistant to prevent snagging and fading 20 times longer than any other swim fabric. This fabric also features 4 way stretch technology for added softness and comfort. Fabrication: 53% polyester 47% polyester endurance.